Apparently a fan of Star Trek since a little nipper, Rihanna must have thought Christmas had come early when she was asked to record the theme song for the new film, Star Trek Beyond. Entitled Sledgehammer, the Sia-penned track seemed (on paper) an odd replacement for the orchestral score movie trailers usually go for. However, it works really well, being dramatic enough to support the intergalactic visuals. Much like Diamonds, Rihanna's delivery sounds very Sia-esque, here. With similar inflections and tone being present throughout the delivery, I'd bet Rih's rendition is not a million miles from the demo Sia recorded. But it's not a total mimic. Once Rih leaves the mid-belts, she does manage to inject a little of her own spice to the pot. 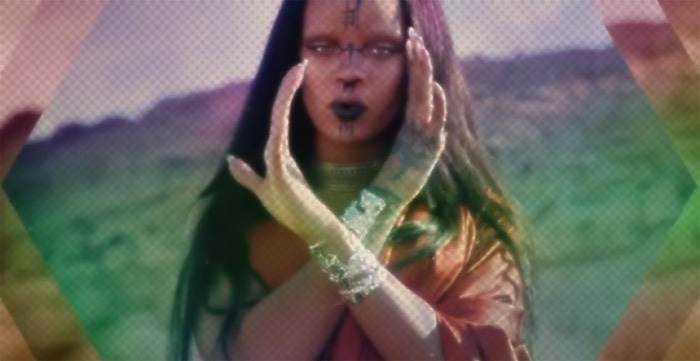 Whatever the case, Rihanna and Sia have cooked up another treat with Sledgehammer. Take a listen and see if you agree!